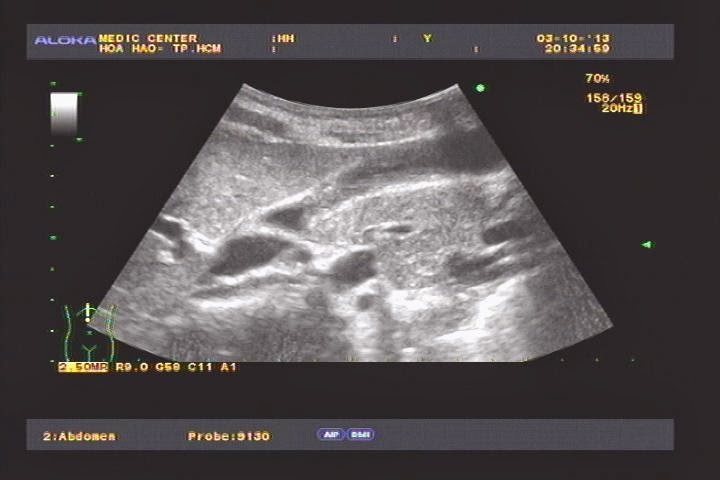 Woman 29 yo, recurrent pain at subhepatic area. 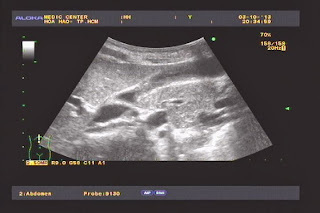 Ultrasound detected stone in gallblader with thickening wall and one cystic mass with size of 2 cm nearby. 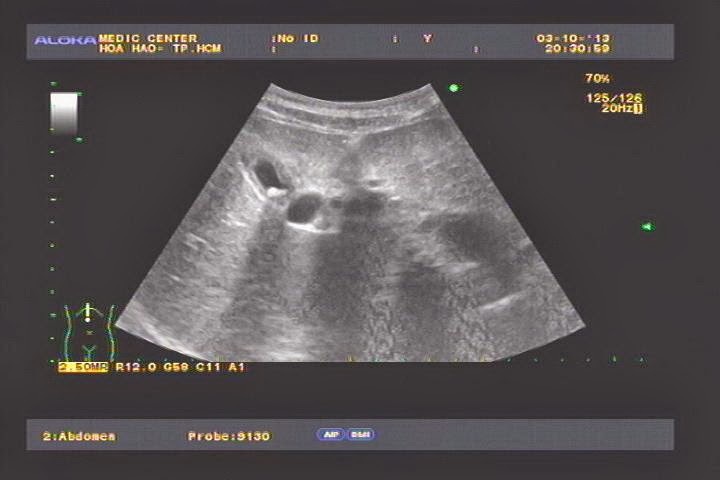 Sonologist reported that was CBD cyst and chronic cholecystitis due to stone [3 images]. 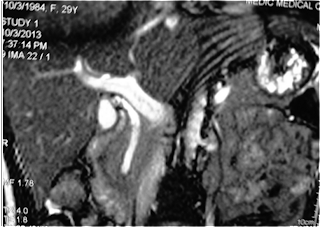 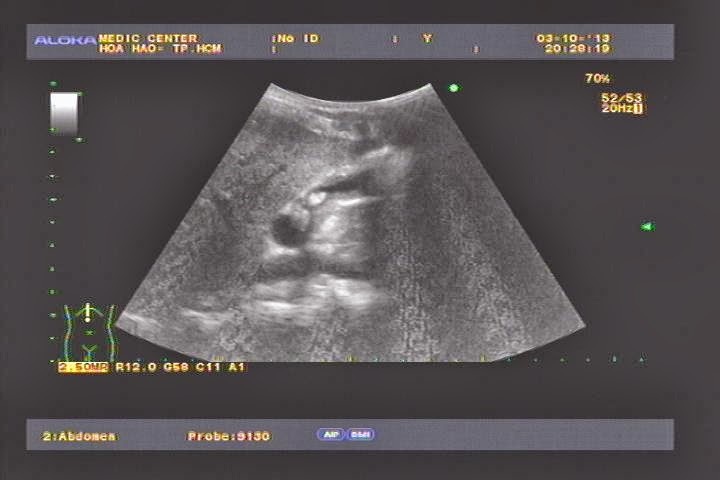 MSCT also had same report as ultrasound report (see image CT). Surgeon ordered MRCP. The MRI report was different which thought about bilobar gallbladder that had 2 parts: one part had stone and thickening of the wall, and another part was connected to the neck of gall bladder which had normal wall and normal CBD. 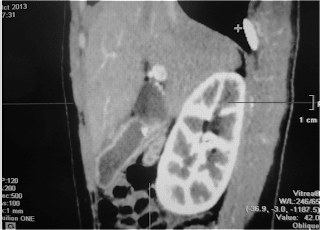 Endoscopic surgery for removing gall bladder with stone in its fundus. Macroscopic specimen of this gallbladder was correlated with 3 modalities of imaging: ultrasound, CT and MRI.